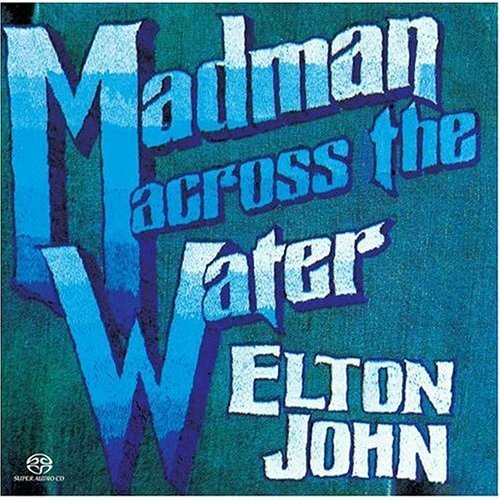 This was the last "simple" release from Elton, as stardom was about to change the music production of subsequent releases. It's also one of the finest. His first three studio albums all had unique elements that made them different from each other, and this release seemed to combine the styles of all three. What also sticks out in one's mind is that we hear the piano more frequently throughout the album more than other releases. Although there are synthesizers and electic keyboards, they are only used to sparingly enhance rather than being overtly thick. The first two tracks Tiny Dancer and Levon are perfect examples. The former makes good use of steel guitars whereas the latter is backed by a full orchestra. Although neither one of these songs were "hits", everyone seems to know them. The rest of the music has a lot of the same mood as well. Making their first appearances are guitarist Davey Johnstone and percussionist Ray Cooper. Both would be permanent fixtures at various points of Elton's career. Again, the two members of "The Elton John Band", Dee Murray and Nigel Olsson, are only present on one song (All the Nasties) but this song is one of the best and most unique. If there is anything negative to say about the album is that the packaging hasn't aged particularly well. This is probably most apparent from the album sleeve which is a blue jean embroidery style, very popular in the post hippie culture of the early seventies. Again, Bernie is a bit pretentious with the lyrics, admitting that he himself had no idea what he was trying to say in many of the songs. It should be pointed out however, that the beautiful Tiny Dancer was written for his first wife Maxine. The early seventies style may turn off newer fans, but given time it's sure to grow on you.